In South Africa, June is celebrated as Youth Month to pay tribute to the school pupils who lost their lives during the 16 June 1976 uprising in Soweto. This year, the theme for Youth Month is ‘Youth moving South Africa forward’ and it marks the 40th anniversary of the uprising, which profoundly changed the socio-political landscape in the country. Throughout June, the CSIR will showcase its contribution to successful human capital development by profiling its young researchers. Many of these young researchers were supported by the CSIR through bursaries, studentships, scholarships and internships in partnership with government, tertiary education institutions and industry. Since 2003, the CSIR has partnered with several South African universities to establish a scholarship programme that aims to develop high-level scarce skills in selected fields of science and technology, while providing much needed financial relief to students. Partners include the Tshwane University of Technology (TUT), the University of Cape Town, the University of Johannesburg (UJ), the University of the Western Cape, the University of KwaZulu-Natal, Stellenbosch University (SU) and the Nelson Mandela Metropolitan University. Thanks to such a scholarship, the CSIR’s Dr Sello Manoto obtained a PhD in biomedical technology from UJ. His areas of expertise include biophotonics, photodynamic therapy, ozone therapy, tissue engineering, regenerative medicine and medical diagnostics. “I wanted to further my studies immediately upon the completion of my MSc degree, but did not have adequate funds. Obtaining the scholarship enabled me to enrol for a PhD and become a specialist in photodynamic therapy. “In the 10 months that I have been employed by the CSIR, I have written three publications that are due for inclusion in international peer-reviewed journals. I am mostly excited by the use of photonics for HIV/Aids research. We are currently investigating point-of-care technologies using lasers in HIV/Aids diagnostics. Being involved in research that directly impacts the health of communities similar to the one I come from, is dear to my heart,” he says. The CSIR has partnered with the University of Limpopo (UL) to build capacity in remote sensing in South Africa. Remote sensing is the scanning of the earth by satellite or by a high-flying aircraft to obtain more information about it. Dr Abel Ramoelo, a CSIR expert in remote sensing, is a research associate at the centre and currently co-supervises UL remote sensing students. Ramoela’s research interests are in vegetation quality and quantity estimation, improving and developing techniques to extract vegetation parameters using remote sensing technologies and assessment, tree species identification, estimation and validation of leaf area index. 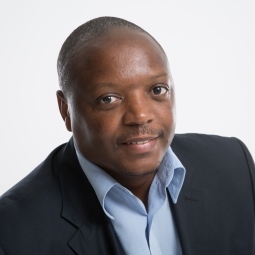 “One of the contributions of the CSIR’s earth observation research group has been to assist several universities with the development of the remote sensing curriculum and information technology infrastructure requirements,” says Ramoelo. This collaboration provides university students with an opportunity to regularly visit the CSIR to download remote sensing data and learn about new techniques and technologies. The CSIR is collaborating with the TUT in the field of laser materials processing. Through this partnership, students at the institution also get valuable work-place experience. The failure of a single component as a result of wear or corrosion can result in the scrapping of entire pieces of industrial equipment. This may have costly consequences, for example, when it halts a manufacturing process and if the new part is subject to a long lead time from overseas suppliers. any TUT students have completed the practical components of their Baccalaureus, Magister’s and Doctors of Techologiae degrees in the field of laser materials processing at the CSIR, supervised by the CSIR’s Prof Sisa Pityana, an expert in laser materials processing. “The exposure that our students get at the CSIR brings them closer to a real-life research environment. They are exposed to the latest technology and expertise that they would not get anywhere else,” says Lerato Tshabalala, a senior technologist at TUT who is doing her Doctor Technologiae under the supervision of Pityana. The CSIR also supports a programme to develop human capital in science, engineering and technology through an industry internship programme that has benefited over 200 students. The programme is the outcome of a partnership between the Technology Localisation Implementation Unit (TLIU), which is hosted by the CSIR and the Southern African Society of Cooperative Education (SASCE). The programme, which caters for students in various engineering disciplines, notably mechanical, electronics, electrical, industrial, civil and metallurgical engineering, started in 2014 and is gaining momentum. SASCE is a body formed by the universities of technology, colleges, the National Skills Authority and industry. The Department of Science and Technology formed the TLIU to implement aspects of its technology localisation plan, which includes human capital development. SASCE places students with companies that have benefited from the Firm Technology Assistance Packages of the TLIU. These packages are interventions to assist companies to achieve higher levels of competitiveness in industry. Many students have been successfully placed upon completion of their practical training.